My Environment, My Wealth is a project under Bliss Octanoprise International (BOI) which aims at empowering youths worldwide. The environment program is targeted at CEOs that are 30 years and below, #under30CEOs. It also has a team of young persons in Portharcourt (8), Abuja (4), Ibadan (5) and Lagos (1). To curb the increasingly alarming environmental challenge by raising kids, youths and citizens to learn to be strong influences on the future generation through environmental awareness and cleanup exercises. To be the nexus between every facet of human interaction through advocating and inculcating good environmental practices. To emphasis roles of stakeholders in ensuring environmental safety. Bliss Octanoprise International (BOI) is a brand interested in empowering youths worldwide and this is achieved through our current on-air projects which currently airs on, Radio Rivers 99.1FM, Port Harcourt and through our active social media advocacy platforms. My Environment, My Wealth - Raising advocates for the environment airs every Saturday 8am-9am, Connect via m.facebook.com/myemywealth , twitter @myemywealth, or instagram @myemywealth. Listen online from across the world via www.radiorivers991.com. 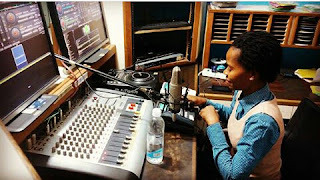 The BOI project is for many Media outfits in Nigeria and will move to other Radio and television stations soon while BOI also extends her means of Empowering Youths Worldwide through other facets. 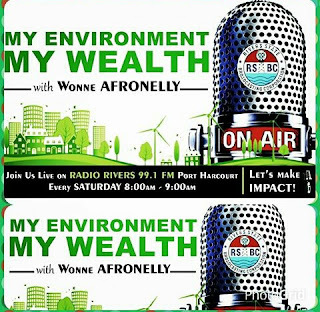 Wonne Afronelly is the CEO of Bliss Octanoprise International.